I’ve been wanting to read this book for a long time and finally got to it. 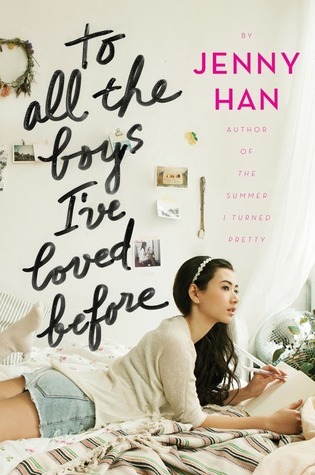 I really enjoyed the story and liked Lara Jean. I found the writing style to be very simple and I would have liked it more if it wasn’t just simple sentences and was a bit more complex. It felt repetitive. It felt like the younger side of YA at the start.That didn’t take away from the story too much though. I liked the plot and the trope of fake relationships. It is one of my favourite tropes and I think it was done well. They had a plan and they stuck to it.I felt that sometimes things were handled too easy and not a lot of description was given. I feel like we were told some important scenes but not shown.I found that there wasn’t a lot of conflict,and I was expecting there to be more.I like drama sprinkled here and there.I think I was expecting more conflict because I don’t read a lot of contemporary so I can’t really fault the book because of it. The story got a lot more interesting at the end and it brought a lot of things together. Another aspect I liked about this book was that there was no insta-love. The romance was believable and it wasn’t a ‘I’ve talked to you a few times,now I love you’ situation. It was well thought out and there was very good development and I loved that it showed a more realistic outlook. I didn’t love Peter Kavinsky as I had hoped. I think maybe it was because of movie Peter and people loving him. I found him (book) just to be very average and there wasn’t anything really special about him. I think people like the movie Peter more? Towards the middle to the end of the story I started liking him and he was growing on me. I liked Lara Jean and was happy towards the end she got a bit more assertive and stood up to Margot for something she believed was right.I liked that sometimes she was really bold and other times she was so shy. She knows what she wants and would do anything to get it. I really loved Kitty! I love the relationship the sisters have and how much they care for each other. It’s rate to see a bond like that. Although I didn’t really like Margot all that much in some places. I really liked that as I was reading I was imagining it as a movie,and suddenly realising that it is a movie and i could maybe see the scene on the screen. I’m used to thinking of how a scene would look in a movie so I was happy to see that. I found the ending to be a bit abrupt and I didn’t expect it to finish where it did. I expected there to be at least another chapter. I know there’s 2 more books so I’m not too fussed about that but I feel it should have more of a solid ending. It kind of felt incomplete. I did enjoy the book,even though I had some problems with it. I had originally thought that I really liked it but now that I have my thoughts on a page, I didn’t like it as much as I thought. I can’t make up my mind.It made me happy and excited to read and I wanted to read it at all times which is what matters.It was a light,fun easy read I can’t wait to read the second book. (I’ve actually read it now! )I’m excited to see what happens after that ending.I’m more excited to see the movie though! I think I might do a post comparing the book and movie. I would recommened this book to contempory lovers or who people who want a quick read! Have you read this?What did you think? Did you watch the series? If so, how does it compare to the book? Yes,I watched the movie. I don’t think I’ll be making a post anytime soon but I think the movie stays mostly true to the book.And as a plus,I love Peter Kavinsky in the movie! The writing style was a bit young so if that’s not for you, I don’t think you’ll enjoy it as much.